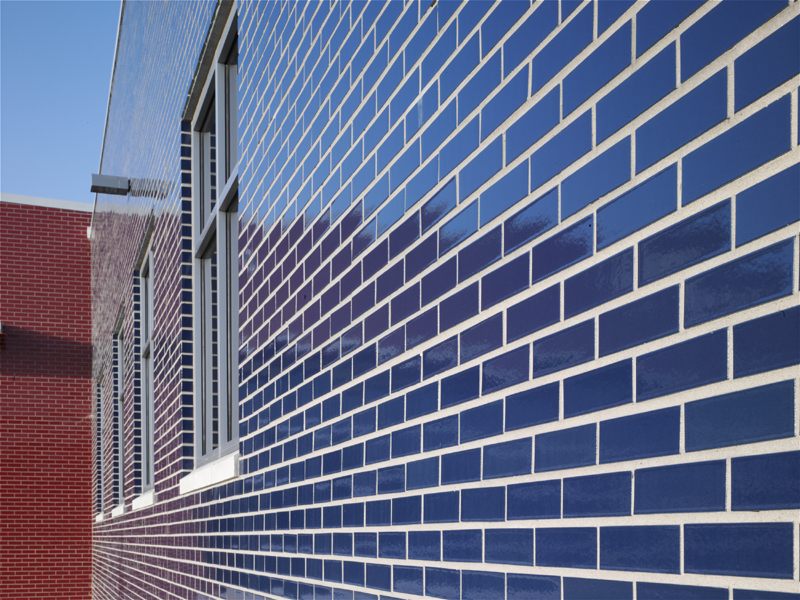 Ibstock Brick provides application and construction advice for building with blue facing bricks. With a wide range of shapes, colours and finishes available, builders have the opportunity to create distinctive designs – from the traditional to the contemporary – using brick. 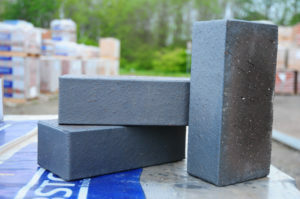 Such is demand for blue bricks, Ibstock recently invested £7.6 million in its Lodge Lane factory – home of its Stafford Slate Blue brick – to boost production by up to eight million bricks a year. Lodge Lane’s factory manager, Richard Hall, says there is a high level of demand for blue brick. But when you are building with blue bricks, additional care and consideration is needed to achieve an appealing finish. There are a number of issues to avoid, including patchy finishes, which are costly and difficult to rectify, peacocking (or picture framing), staining and floating during laying. To help avoid these issues we’ve put together some advice from Ibstock for achieving the best finish. Blending bricks is of paramount importance. This is due to the reducing atmosphere in the kiln, which creates the blue sheen and means colour uniformity is not guaranteed. To achieve a good blend across the building, bricks should be loaded out from at least three packs. Our advice is to draw from packs in vertical rather than horizontal slices. Mixing bricks from different packs minimises the clustering of tone and shade variation. Cover the tops of newly built brick and block masonry at all times when work is not in progress. This helps avoid unnecessary staining and peacocking. The brickwork should be covered leaving a ventilation space between it and the polythene sheeting. If the sheeting rests against the brickwork it will sweat, which results in staining. Protection from water is also important to prevent picture framing. If brick perforations are filled by rainwater it creates a reservoir. This allows free lime to leech from the mortar joints causing lime staining and picture framing. Unlike efflorescence it does not disappear when wet and can build up over time, calcifying into unsightly white deposits. Protecting brickwork from rainfall during and soon after construction helps prevent this. On-going cases of lime leeching occur where detailing has omitted damp proof material from the top of the freestanding walls or tanking from earth retaining walls allowing continued water percolation through the brickwork. This causes light differentiation through a thin layer of the colloidal silica. Referred to as picture framing it is difficult to remove if it is allowed to occur. If brickwork has been subject to weathering with no protection the build-up of silica fines can create multicoloured stains caused by light diffraction. When this extends across the entire brick face it is referred to as peacocking. Mortar knots should be removed as work progresses. Newly laid mortar should not be pointed until it has started to cure and is quite firm. The density of the bricks can cause pointing problems if it is attempted too soon allowing it to potentially foul the brick and cause further picture framing issues. Floating is a term for bricks that don’t absorb much of the water from the mortar mix and tend to sit on top of the wet mortar when laid. This particularly happens with heavier bricks, such as blues, which squeeze water out of the mortar. The simple solution to floating is to reduce the amount of water in the mortar mix, making it slightly stiffer when first laid. If issues do arise, blue brick is hard to tint. Generally, if tinting is undertaken the entire elevation is treated to blend not only the colour but the sheen of the brick resulting in large costs. Prevention is better than cure so by following this advice, builders can achieve the best finish for the project.